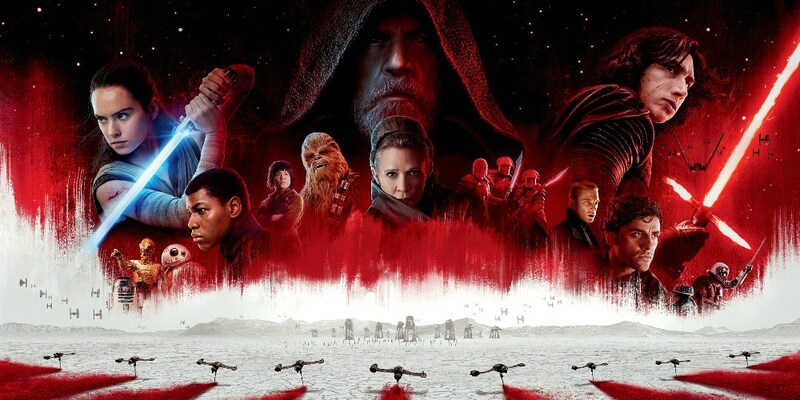 It’s been a bit of a Star Wars week here at spalanz.com, and today I thought I’d talk about some various musings that I’ve been having about the franchise, with the new books and comics as well as thoughts on the new and up-coming movies… It’s going to be a ramble, but let’s begin! I’m really intrigued about what’s going to happen in this film. Something that I like the idea of is how VII mirrored IV so much, VIII might actually begin by imitating V before vectoring off really onto its own thing. There is a lot of footage in the trailer that shows the Resistance seemingly under attack, and I like the idea that this is an escape sequence much like the Battle of Hoth, where we may see a lot of similar story beats to the earlier movie. We’ll also have a lot of Rey being trained by Luke and, if VII can be relied upon, Kylo Ren being trained by Snoke, which will somewhat follow the theme of Luke being trained by Yoda. But what else could we see? 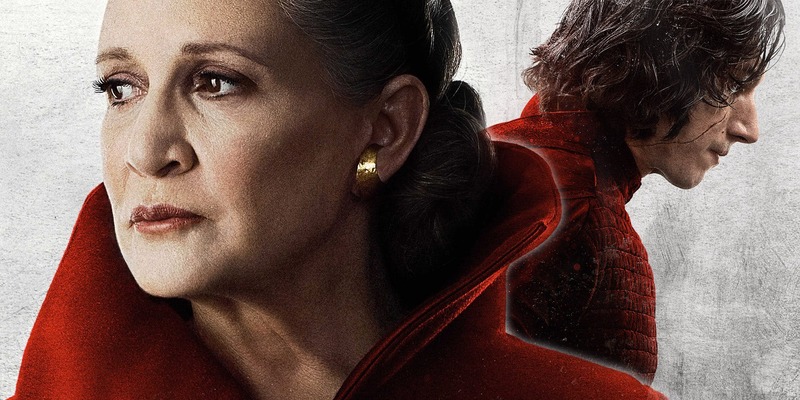 Some stories have been circulating that speculate the film starts with Leia meeting Snoke in a sort of meeting-of-minds, and she has to be rescued by the Resistance. I suppose the scenes that I thought of as an escape could equally be a rescue. Leia is said to have an expanded role in VIII, which is excellent because she wasn’t in VII nearly as much as she should have been. But I guess we needed to see the next generation established. The idea that she meets with Snoke could be interesting as, like the rest of the world, I’m deeply intrigued as to who he is and how he fits into the world. I’ve said it before on this blog, and I’ll reiterate here: I don’t believe Snoke is somebody who we’ve met before, insofar as I don’t think he’s a clone of Palpatine/Anakin/Jar Jar, or whatever. I do think he’s a completely new creation, though he does seem to be known to Leia and Han, given their exchange before Han leaves for Starkiller Base in VII. I’m intrigued as to how he fits into the First Order hierarchy, as I would have expected to have seen him somewhere in Bloodline if he’s a major player. (Well, maybe I did!) Whoever he is, though, it needs to be fully explained in the movies, as the vast majority of moviegoers aren’t following the comics and novels and cartoons and everything else, and Disney knows this. 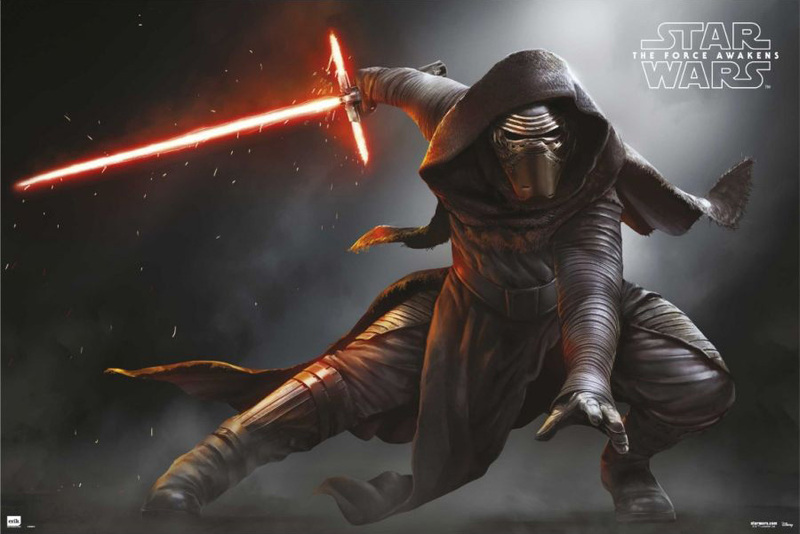 The movies need to be able to stand on their own, and so I’m confident that we’ll be getting a full reveal in either VIII or IX. The mystery of Rey is, I think, perhaps the best thing to be coming out of the sequel trilogy so far. While I know plenty of people are rabidly chomping at the bit for anything, I think it’s being done really well in that I’m intrigued, but I find her interesting enough on her own terms that I don’t need to know who her parents were. Does that make sense? She’s great enough on her own terms, and I love that about her. The Force Awakens lands us slap-bang in the middle of the galaxy some 30-or-so years after Return of the Jedi, and while the interpersonal story of the main characters plays out pretty much okay, we’re left with so many questions about the state of the universe that we’re now in. Rogue One returned us to a more familiar time period, but has shown that there are so many questions that we thought we knew the answers to, but it turns out we barely scratched the surface there. While it can be irritating to a lore nerd such as myself to suddenly not know where we are in the universe, I’ve noticed that I’m actually starting to pore over all of the stuff that I can get my hands on once again, such as the Visual Dictionaries, and branching out into the YA books that I would usually avoid. 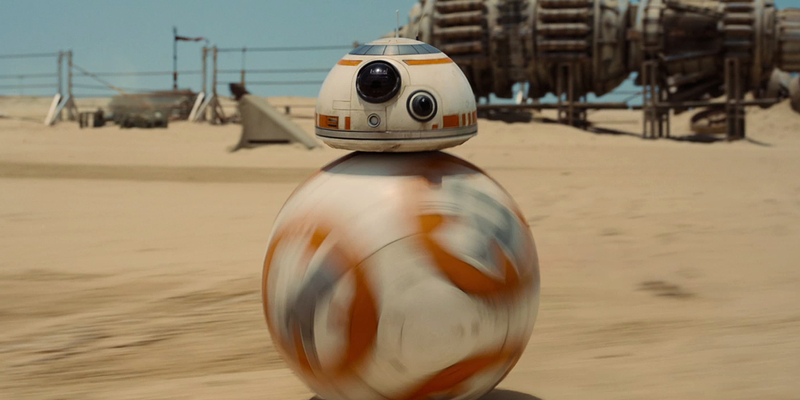 Basically, Disney has made me enthusiastic about Star Wars once again. Despite the fact that I’m now really intrigued by the new setting, including that for Rogue One, which has shown us a new way of looking at the time period of the original movie trilogy, I’m finding it difficult to stay enthusiastic about the new EU when I begin to devour the offerings we have that flesh out this landscape. I’ve been particularly hard on the Aftermath trilogy (you can see exactly how harsh by checking out my blog reviews here, here and here!) However, I’ve been thinking again recently, and I’m fully prepared to completely re-evaluate those opinions in the light of anything we learn at the end of Episode IX. I think it’s very likely that there will be a number of things mentioned in passing during those books that will prove to be important later – not just the interludes, but a lot of the general story will likely make more sense when we’ve seen the whole trajectory of the sequel trilogy. The rest of the novels that I’ve so far read from the new canon have been very much a mixed bag, with Heir to the Jedi being a particular favourite, but only Bloodline standing out for me as the absolute best and most important of them all so far. I don’t think I’ve read anything from the new canon that has managed to capture the feel of this new, Force-Awakened universe more than this book, and cannot recommend it enough to even the casual fans of the franchise. The others tend to fall into something of a “meh” category of general tie-in fiction that is really neither good nor bad, but overall you’re not missing anything by not reading it. This is in stark contrast to some of the Legends books, which often form important leads-in to films or provide important explanations of plot-points. Maybe the Disney films are too reliant on themselves to tell their story, leading to the novels not having a great deal to cover? The comics from Marvel have, so far, been the single most consistent let-down in all of this, however. While a lot of my criticisms of the new canon can perhaps be explained away with “well, it’s still early days yet – Dark Horse and Del Rey had years to build up their lore!” (which is, incidentally, true), I feel that Marvel in particular has so far been playing so fast and loose with Star Wars in general, that it’s really wearing me down as a consumer. At the time I’m writing this, I’ve read probably half of the total content they’ve put out, and cannot think of a single issue or series that I can put my finger on and say, “that was great”. The Vader ongoing series was probably the closest we get to that, though I have only read half of it up to this point. The general ongoing series had a fantastic issue #1, and went downhill so quickly it was unbelievable. We’re now being treated to Han and Leia racing around a Star Destroyer as serious wartime adventure, and I just can’t believe they got rid of stuff like The Wrong Side of the War and replaced it with this! First world problems, for sure, but I think we deserve better stories than this dumbed-down junk. The time period of the original trilogy was a period of civil war, according to the opening crawl of the movie that started it all – how about seeing some actual war stories, rather than this inane rubbish about three people hijacking a Star Destroyer, or the ongoing boredom of Han Solo’s not-wife. For me, part of the problem with the ongoing series from Marvel is the fact that there doesn’t seem to be a plan for the story these books are telling us. The time period between IV and V was always set at three years, in-universe, and was replete with “just another story” about Luke and the gang going up against the Empire, having a series of narrow scrapes, but always winning in the end. Sure, that’s the adventure serial type of story that inspired the movie in the first place. But when you just have endless one-shot storylines that have that “and they all lived to fight another day” ending, it’s kinda pointless. One of the main selling-points for removing the expanded universe as it was, was that they could start to tell more cohesive stories in the EU, but I’ve not yet seen any real evidence of that from Marvel. Yeah, the monthly books have had some nice interlocking connections, but nothing important has happened, and it’s all just much of the same junk that Marvel pumped out in the 80s. I have been expecting a coherent narrative across the comics that ties in with the films, and any other novels that take place at the same time period. So far, the only consistencies seem to be that Dr Aphra has shown up as Darth Vader’s groupie, and Han Solo’s annoying not-wife seems to have grafted herself on as Leia’s informal attache. We don’t really have a stable of characters that Marvel has created, including villains for the rebels to go up against, so it all feels like so much diaphanous rubbish. Are you familiar with the Republic ongoing series from Dark Horse, which ran for over 100 issues and spanned the period from Phantom Menace well beyond Revenge of the Sith? 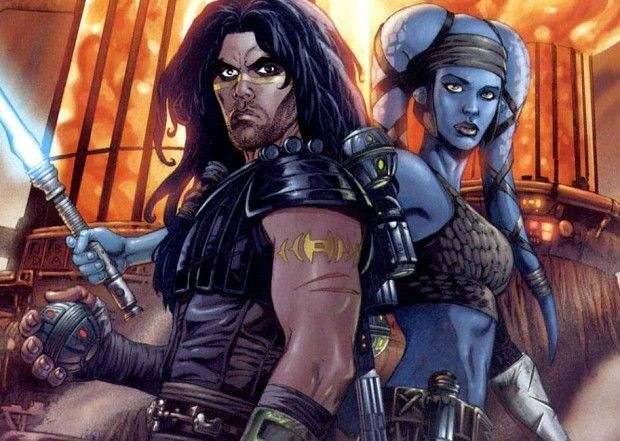 The series had a somewhat bumpy beginning as it followed Ki-Adi-Mundi on a variety of throwaway adventures that meant nothing in the grand scheme of things, before it introduced the Jedi Knight Quinlan Vos and his erstwhile padawan Aayla Secura. While their adventures were interrupted with other issues, the series really picked up steam when John Ostrander and Jan Duursema were telling the story of these two, and a whole cast of recurring faces began to pepper the pages, to the point where now, if you read the whole lot, you get a wonderfully cohesive narrative arc that actually serves as a counterpoint to the prequel movies themselves. My point is, Star Wars comics can be better than this! First of all, we don’t need big-name movie characters in Star Wars books in order to make them interesting, not least because those stories tend not to have any real sense of danger to them. We know Leia is always going to survive any and all stories set between A New Hope and The Last Jedi, because she is in those films. Showing Leia at death’s door in the Annual #2 had absolutely no sense of drama to it, because we know she’s fighting fit again in Empire. So why not focus on a larger cast than just the movie three, and put them in danger, instead? It would take no imagination to come up with stories involving other rebel agents – agents in the mould of Cassian Andor, for instance – who might well serve alongside Luke on a dangerous mission to uncover a supply train that the rebels desperately need – medical supplies, whatever – and then put that rebel agent in the spotlight for the next arc where we follow a commando team on an undercover mission into an Imperial arms depot. Maybe that agent survives, to become a more regular fixture in the ongoing series, or maybe he dies heroically, and his protege makes it back to Yavin with the news, whereupon she can become a more regular character. I came up with that in the about-fifteen seconds it took to type. There are more people in this universe, and more stories to be told, than the adventure of Han and Leia’s race around a Star Destroyer to see who can be called captain of the bloody thing! This blog is already getting pretty hefty here, and the tone has been somewhat whiny in parts, so I think it’s time to draw it to a close. In conclusion, then, I think the movies are doing a tremendous job of setting up a new world order, of sorts, and I’m incredibly intrigued by how they’re managing to change the Star Wars universe for the better. The novels have been hit and miss, though everyone should head out and read Bloodline if they haven’t already done so. And while I’ve yet to read a new comic that I like, I remain optimistic that there may be an arc out there that I can finally say, that’s fantastic! Please feel free to share your own thoughts in the comments section below, I’d love to get other peoples’ opinions on this! We’ve been in the new EU for almost three years now, and I’m interested to see what you fine folks make of the state of things! It’s my second movie review in as many weeks! Don’t get excited, now! Today, I went to see the new MCU offering, Ant Man. I went into this blind, knowing very little about the character, but purposefully having not paid attention to any trailers or hype for it. I must admit, I was really pleased with how much I enjoyed it as a result, and I think I’m going to try my hardest to continue this – unless the words “Star Wars” appear in the title. Of course, Ant Man is the Marvel superhero who can shrink to the size of – spoiler alert – an ant. Rather than being some mutation, it’s caused by that other stalwart of comic book storylines, some advanced tech. We don’t really get much of an explanation of the mysterious Pym Particle, other than it was discovered by Dr Hank Pym as a way to move through molecules or something. He has vials of the stuff that somehow power a suit that shrinks its wearer to insect-size, and that’s really all we need to know to enjoy the ride. 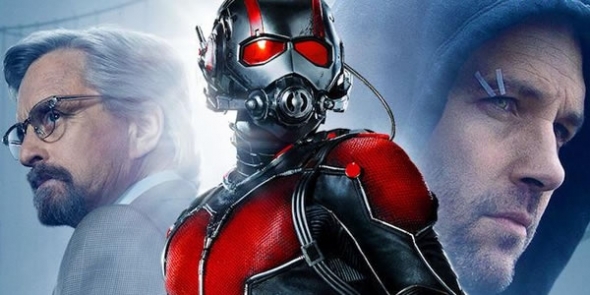 Hank Pym (Michael Douglas) used the suit during the Cold War until his wife, Janet, died. He was forged out of his company by his protege Darren Cross (Corey Stall) and estranged daughter Hope van Dyne (Evangeline Lilly) – though what the company does is a mystery, as the Particle is strictly off-limits while Hank is at its head. At any rate, Cross has been working on molecule manipulation ever since, and as the film begins, he’s ready to show off his own version of the suit, the Yellowjacket. It sounds a little like Iron Man, with the massive corporation and the like, but into this mix is thrown the ex-con Scott Lang (Paul Rudd) and his ex-inmates. Lang is manoeuvered into contact with Hank in an attempt to steal the Yellowjacket prototype before it can be sold to HYDRA. The majority of the second act is taken up with Lang learning how to use the suit, being trained by both Hank and Hope. See, it turns out Hope is sort of playing the middle ground here, and I have to admit, I’m not entirely sure why. The film seems to want us to believe she’s working herself into Cross’ confidence as Hank’s mole, but I kinda ended with the impression that she has her own agenda, and the mid-credits sequence basically seems to affirm that. The heist goes off wonderfully badly, and involves a massive chase sequence where Darren Cross dons the Yellowjacket, leading to some really excellent action scenes. It all ends happily, anyway, and the end result is something akin to the first Iron Man, though perhaps with more whimsy. It’s a pretty great origin movie, and takes its place well in the MCU. Two things are worth mentioning. First, we have some great anchorage to previous Avengers stuff through the inclusion of Howard Stark and Peggy Carson in the introductory scene that shows Hank leaving SHIELD. We also get what turns out to be a very cool cameo from Anthony Mackie’s Falcon – having kept myself free from the spoilers, I was not expecting that one bit, so that was really great to see. The actual end-credits scene with Falcon and Cap, which I take to be setting up the Civil War movie, fell a little flat, I felt. Anyway, I thought I’d present you all with some garbled thoughts on this movie, though I’m sure manofyesterday will have a much better review up in the next couple of days, so make sure you keep an eye on his blog! 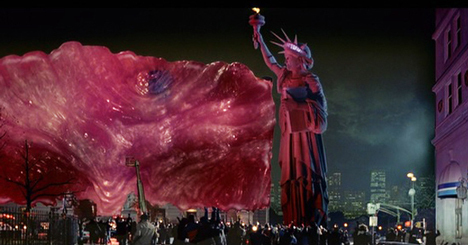 Oh my goodness me, Masters of the Universe, people! My second-favourite film as a child (the first was Return of the Jedi), I absolutely love this film, 28 years after its initial release… Such fond memories! The film follows He-Man and his friends Teela and Man-at-Arms as they battle the evil Skeletor for control of Eternia, opening somewhat in media res, with the forces of evil having secured a victory and occupying Castle Grayskull. The heroes discover that Skeletor’s forces were able to sneak into the castle with the help of a cosmic key, created by the inventor Gwildor. He-Man and his friends try to liberate the Sorceress, and the castle, but are forced to flee through a portal created by Gwildor’s prototype key, and are transported to Earth. There, they lose the key and must search to recover it, while Skeletor, obsessed with control, dispatches forces after them. On Earth, the key is found by high-school musician Kevin, who is in the process of ending a relationship with his girlfriend Julie following the deaths of her parents. These two become embroiled in Skeletor’s search for the key, and after some heated battles, Skeletor himself comes to Earth to claim his prize – the key, and He-Man himself. Gwildor, with Kevin’s help, manages to open a portal back to Eternia to rescue He-Man, just as Skeletor begins to merge his power with that of the Sorceress to become lord of all the land. The climactic battle between the two ends with Skeletor’s defeat, and Gwildor is able to send Kevin and Julie home to Earth, shortly before Julie’s parents were killed, leading to a happy end for all. The film is often maligned – unfairly, in my view – for its production problems, where budget cuts led to placing the film on Earth for significant periods and the like, and also for its poor performance from Dolph Lundgren, whose He-Man was his first leading role. 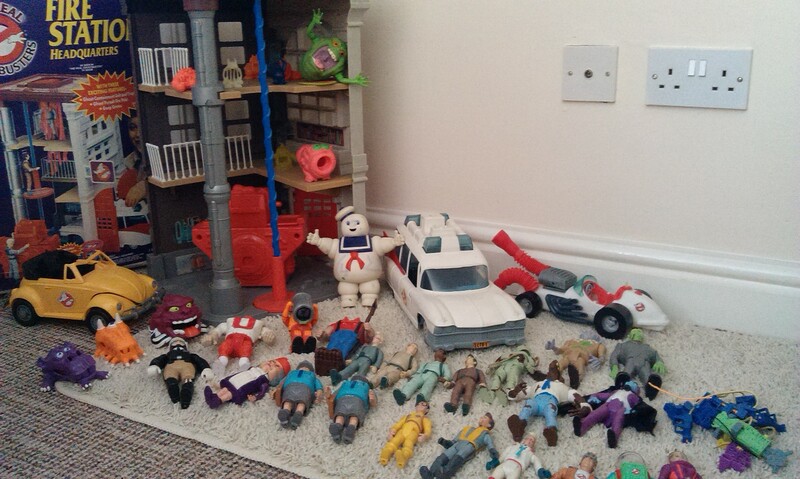 Personally, I don’t have a problem with him, whether that’s from nostalgia or not, I can’t really say. A contentious point, perhaps, but the film feels more of an ensemble effort, anyway, so doesn’t need to be carried by one person. Anyway. Something that strikes me as I watch this film as an adult is just how subtle and brilliant the performances of Frank Langella (Skeletor) and Meg Foster (Evil Lyn) come across. 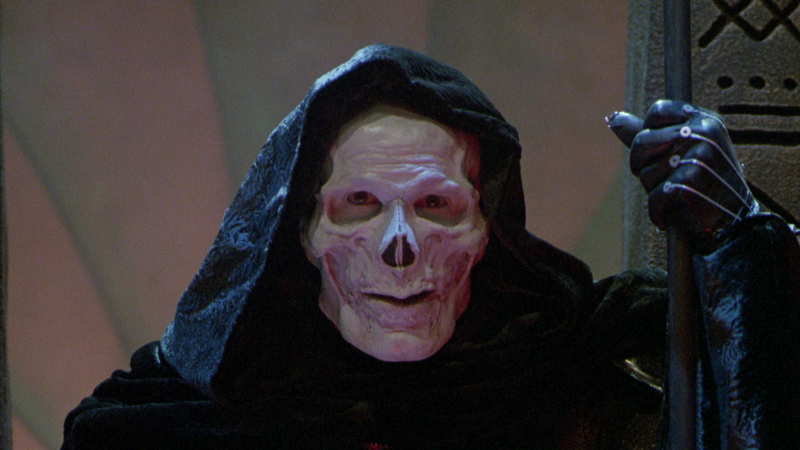 Skeletor is of course something of a pantomime villain, though Langella’s performance transcends that through sheer commitment to the part. 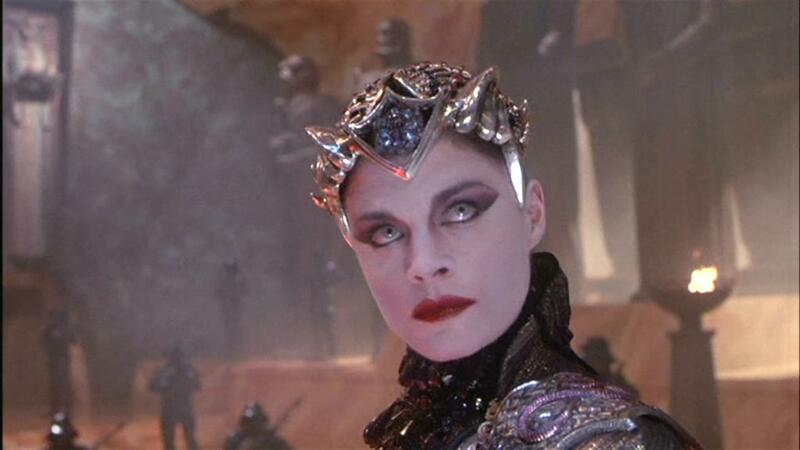 Meg Foster’s Evil Lyn is, quite possibly, the greatest role in the film, however – the subtext of lovelorn acolyte to Skeletor, to ruthlessly saving her own skin, works tremendously well, and serves to add depth to the villains. Plus… those eyes! 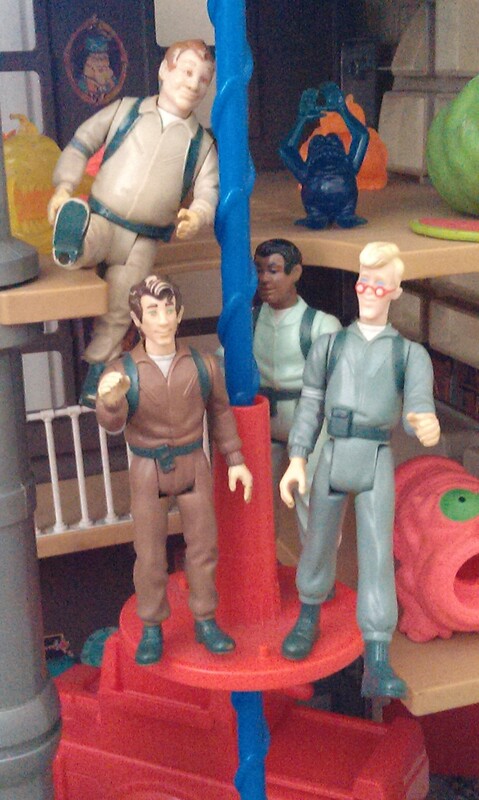 But sit back, let the 80s awesome take you, and enjoy the adventure! It might well be camp, but that doesn’t mean it isn’t still fun!